Procrea Fertility: the fertility centre I can’t believe exists! Last week I had the joy of meeting the wonderful people at Procrea Fertility in Vaughan: the second clinic to join our Win a Free IVF initiative! 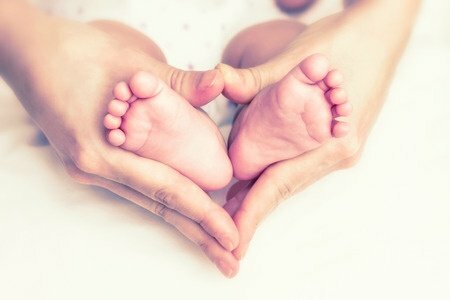 I have never encountered a fertility clinic that so fully embraces the Mind-Body connection. Simone Amir, the clinic manager, has a background in Ayurveda. Dr. Timea Belej-Rak, the medical director, is a master NLP and hypnosis practitioner as well as an integrative medicine doctor. They have naturopathy and acupuncture in-house and are in the process of starting a Mind-Body program. I was struck right away by the fact that this place looks and feels more like a spa than a medical office. It’s a non-doing atmosphere—there are not even magazines to look at—because they want you to move into a space of receptivity and being. In every detail they are working to facilitate the connection to something greater than yourself. I’m so amazed that these people exist! And they loved Moon Goddess and the campaign we’re launching to partner with fertility clinics to bring a free IVF to a couple in need. They were immediately on board. I was fascinated to hear from Procrea Fertility they can generally predict whether a patient is going to be successful with IVF on the first try (keep in mind this is more in the case of unexplained infertility). How? From her emotional state. In their experience, women who are depressive have the least likelihood of a successful IVF, whereas a woman who feels highly positive and she has a willingness to work on her mind-body connection is far more likely to get pregnant on her first round of IVF. And there’s evidence to back it up in the research. In one study of 151 women going through for IVF, the chance of a live birth was found to be 93% higher in women who felt highly positive. In another, high levels of anxiety impacted IUI success rates and miscarriage rates, with women who were not anxious taking less time to conceive and being less likely to miscarry. And one of my favourites: In a Harvard Medical School study, mind/body treatment improved psychological well-being AND increased pregnancy rates from 20% to 55%. If you’re reading this, you probably already believe it’s important to pay attention to your heart and emotions in addition to your body. Now it’s nice to know there’s evidence to back up your inner knowing. DISCLAIMER: This doesn’t mean being depressed, stressed out and anxious is going to cause fertility treatment to fail. But if you can make feeling good a priority while going through IVF, it can make a huge difference not only in the outcome but in how you feel throughout the process. And the good news is there is help because we all know it’s not easy! We’ll definitely be working alongside Procrea on many different levels. And I’m meeting with two other fertility clinics this week, so stay tuned for more on our Win a Free IVF campaign. This thing is gaining traction! If you missed it, you can read more about our initiative here. Loved it! You made this site is awesome and giving us such a great information. Thanks for sharing the best posts they very useful to us. I am very impressed by your site and thoughts they very help us. You made a good site it very useful and very help us.I got such a good information from this site only. Thank you for sharing the information on this topic.